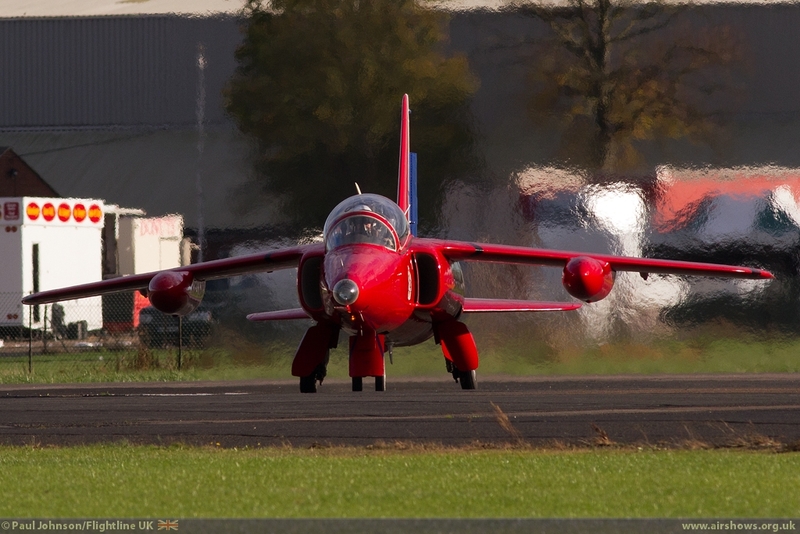 2014 was a big year for the Gnat Display Team which operates out of the historic North Weald Airfield just to the north of Greater London. 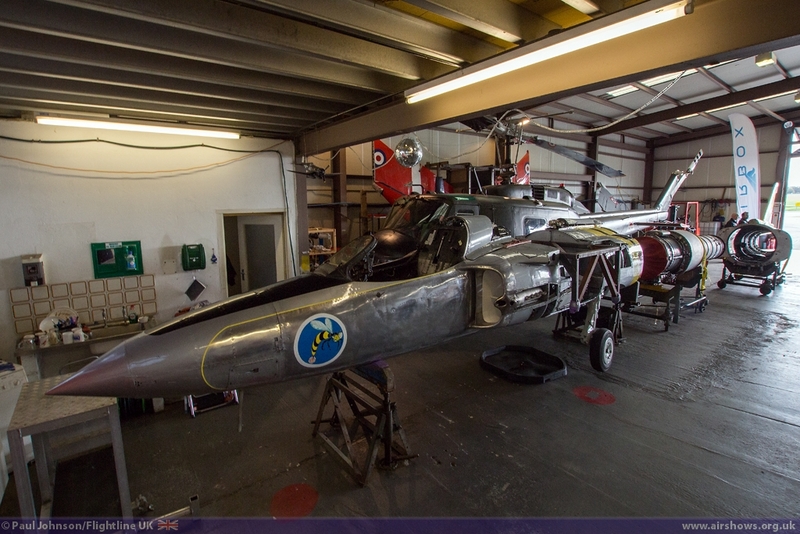 With the successful completion of restoration work on the former David Gilmour owned Gnat G-MOUR the team expanded offering a three-ship formation for the first time. 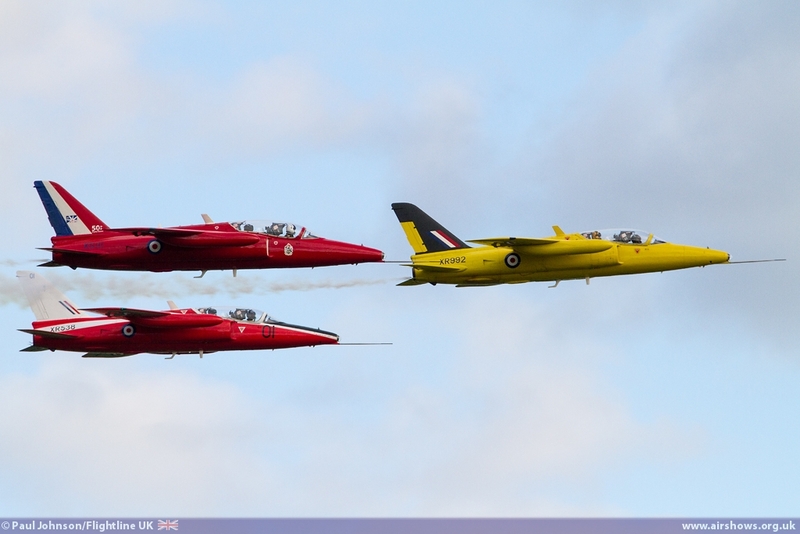 It was particularly well timed as 2014 also saw the Royal Air Force Aerobatic Team celebrate its 50th Display Season and the Gnat played an important role at some of the biggest celebrations held during the RAF Waddington International Airshow and the Royal International Air Tattoo. 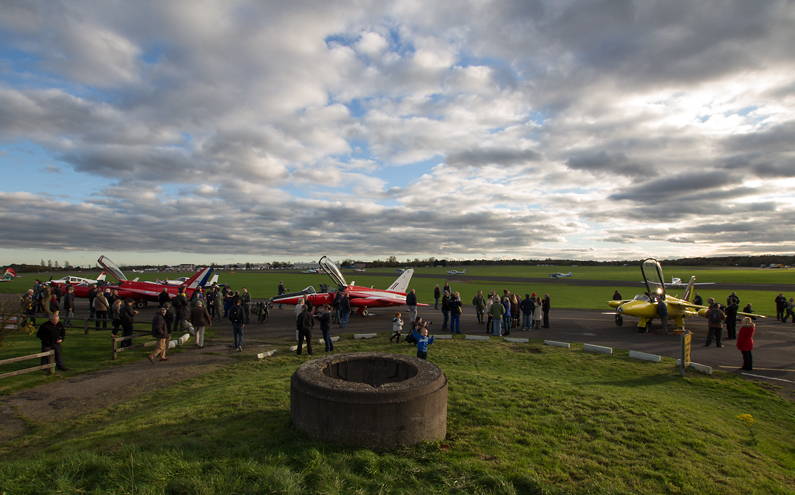 To close their year, the team held an informal Open Day at their North Weald base. 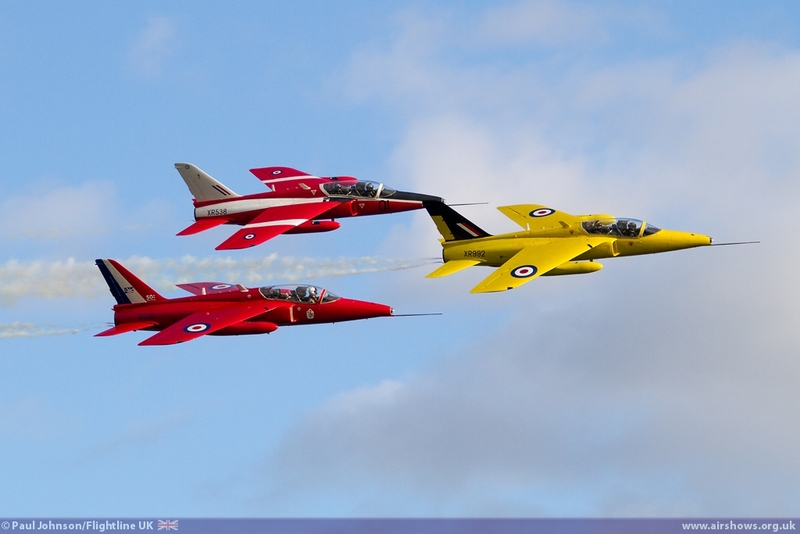 The Gnat Display Team is the brand through which The Heritage Aircraft Trust operates as a registered charity. 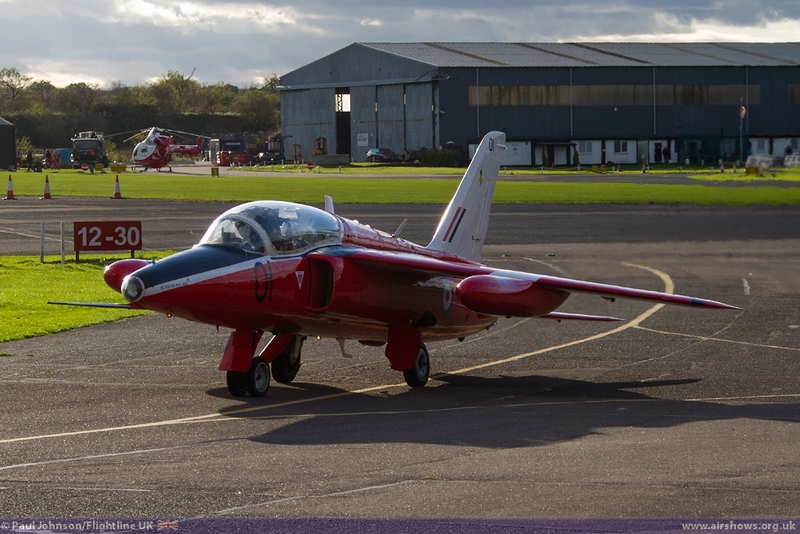 The aim of the trust is to "preserve and protect gnat and other historic aircraft as historic aircraft for the benefit of the public and to demonstrate and display such aircraft at public events and to conserve them as heritage assets." 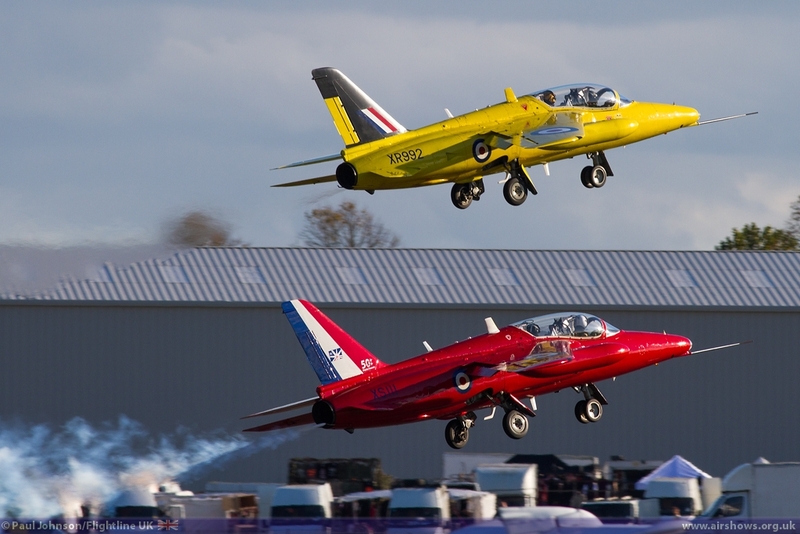 The team appear at airshows across the UK and Europe, and one of their aircraft even has ventured as far as the United Arab Emirates for the Al Ain Aerobatic Show. 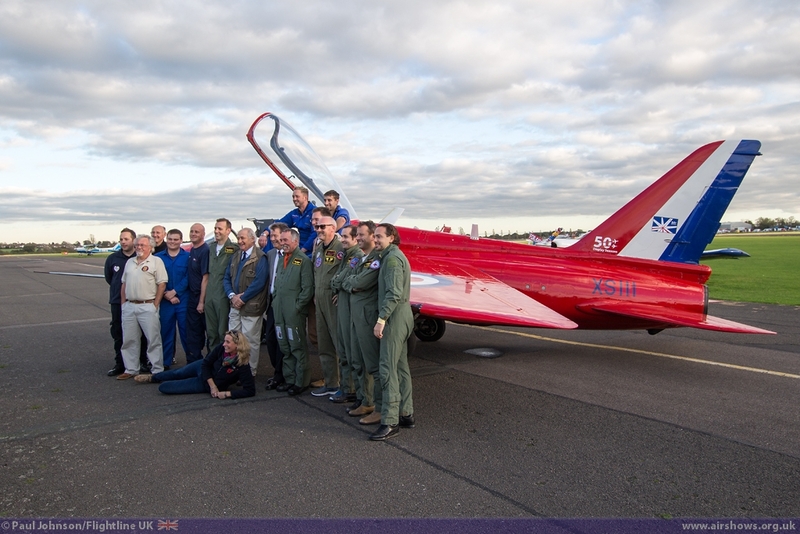 Being one of the few UK base civilian organisations currently able to provide a "jet team," they are quite widely seen at many major military, civilian and seaside airshows. 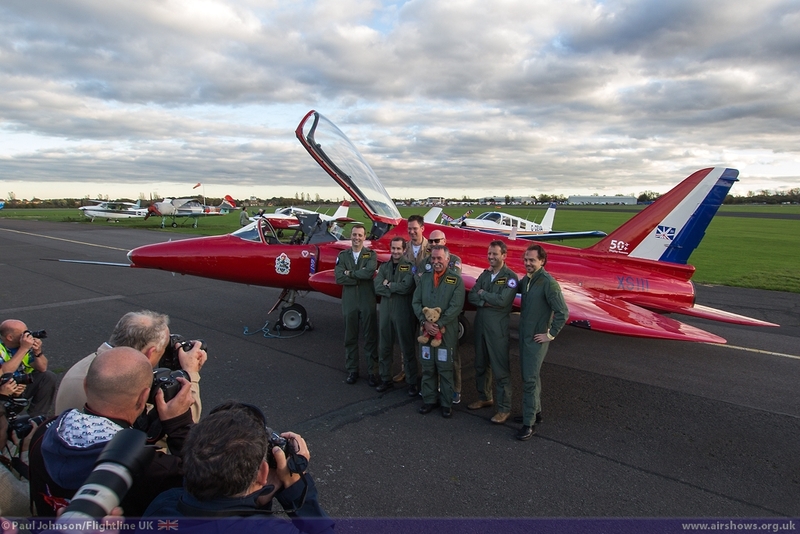 With 2014 seeing celebrations for the Red Arrows' 50th Display Season, the team participated at the RAF Waddington International Airshow, the Royal International Air Tattoo, Eastbourne Airbourne and Dunsfold Wings and Wheels amongst others. 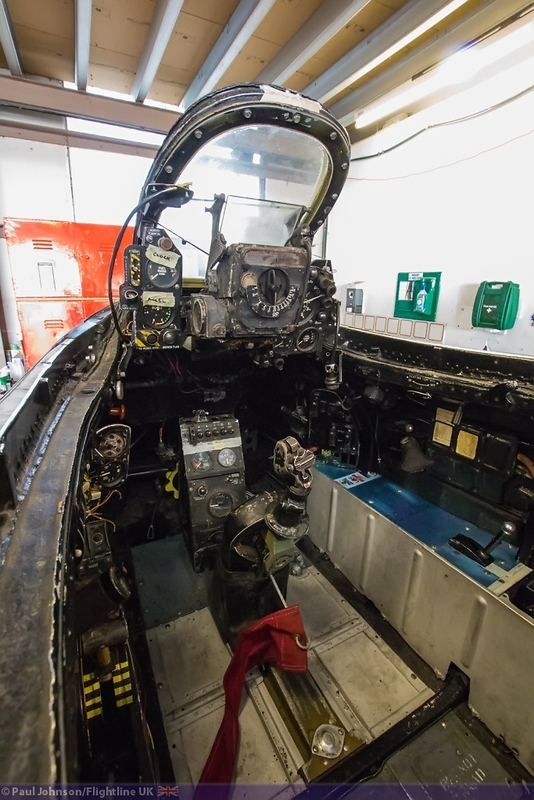 The team's base at North Weald is famous as one of the major fighter stations that surrounded London during the Battle of Britain. 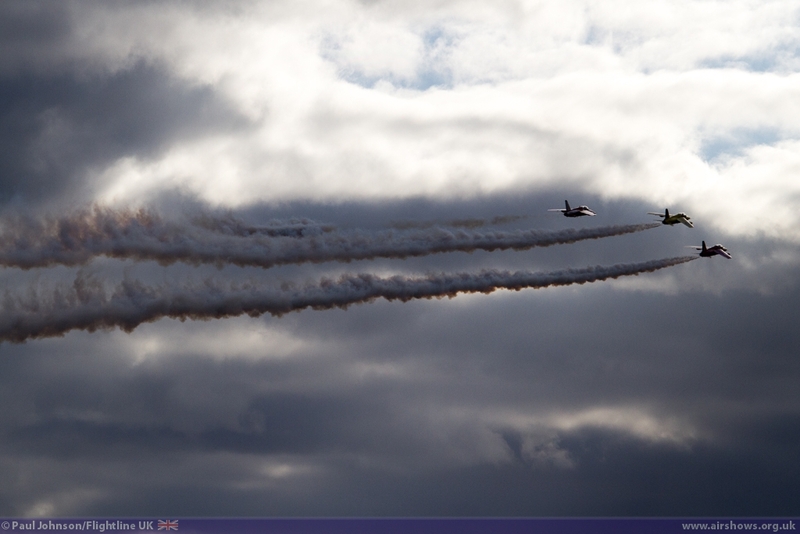 However, it stayed with the RAF long after the war. 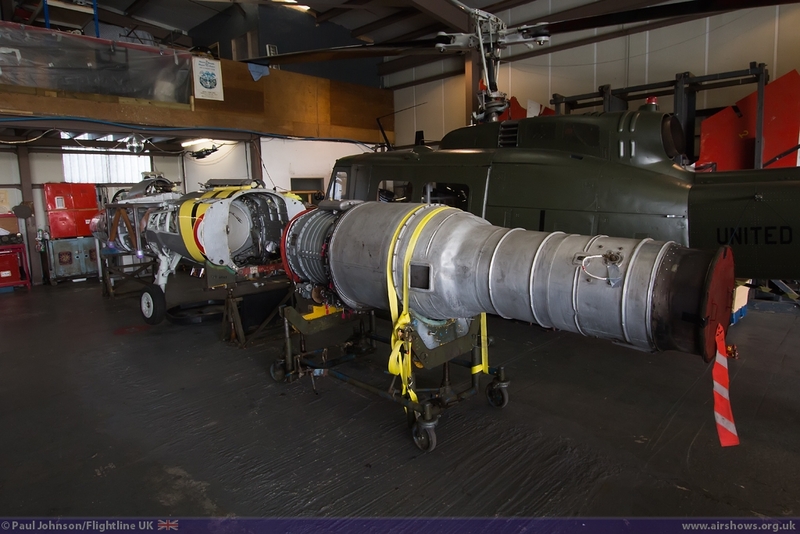 Today, it is very much a centre of aviation still with various civilian general aviation types and companies based in the hangars. 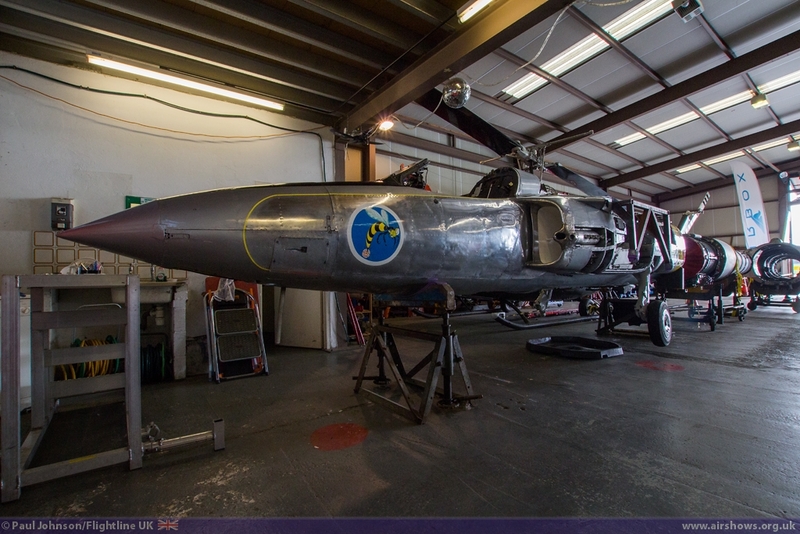 It is also an important base for historic aircraft with many classic jets such as Jet Provosts and Hawker Hunters operating alongside the Gnat's plus Peter Teichman's Hangar 11 Collection warbirds. 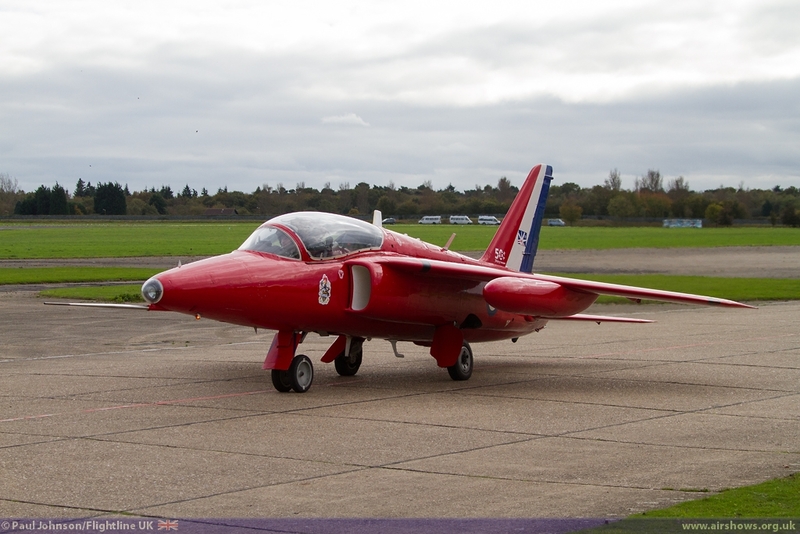 The Gnat is one of the British Aircraft industry's most famous designs. 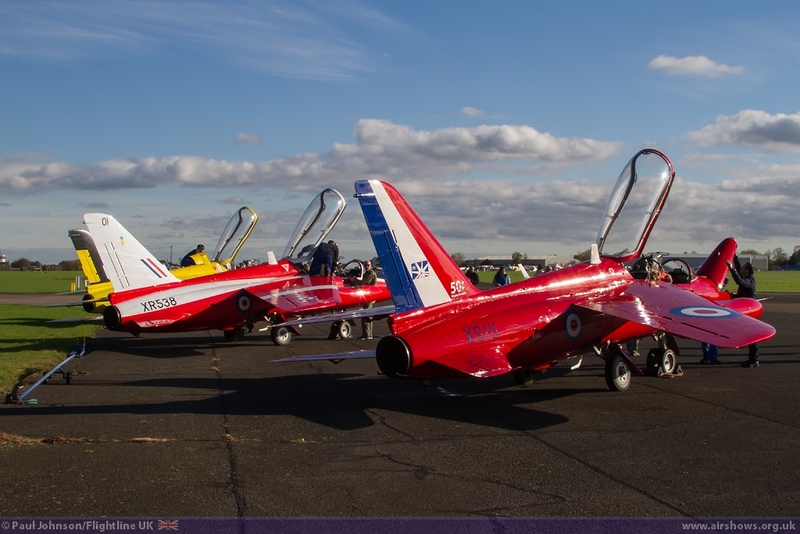 Initially conceived as a cheap lightweight fighter, the aircraft became better known as an advanced jet trainer and the mount of the RAF's official aerobatic team, the Red Arrows. 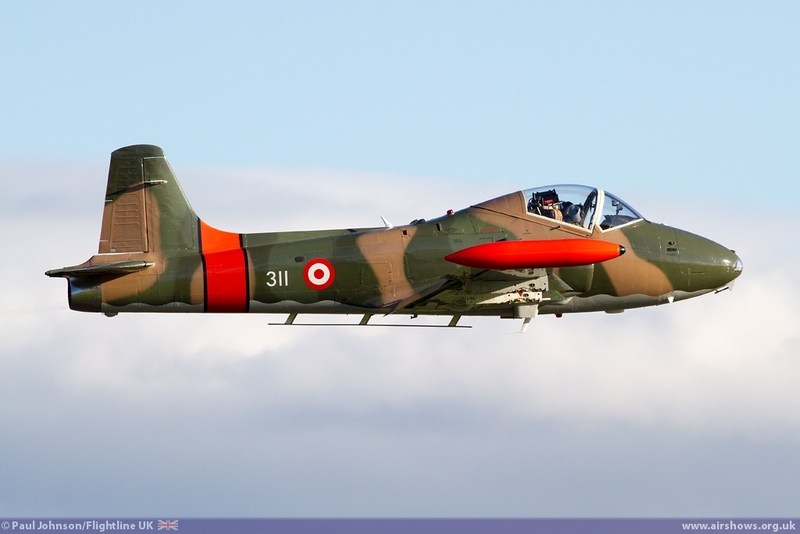 It may be small in comparison to other jets of a similar vintage, but it was a great looking design on its own or as part of a formation. 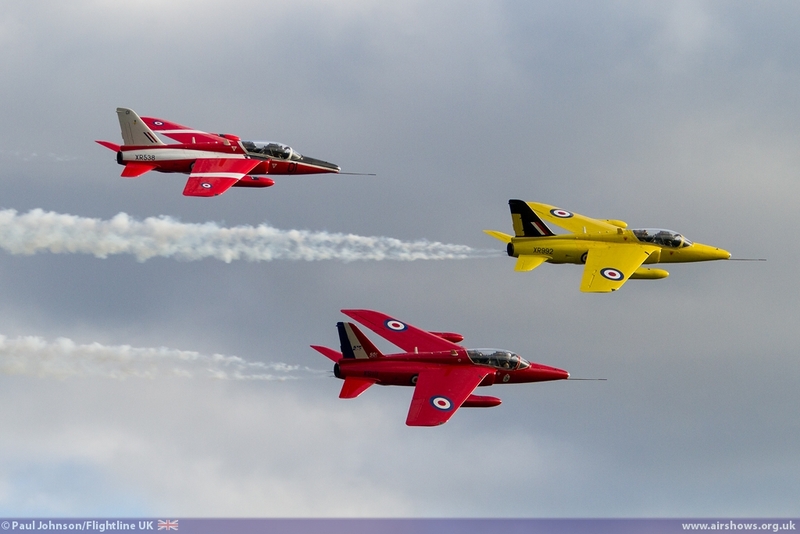 Currently, the Gnat Display Team have three airworthy aircraft, XR538 (G-RORI), XP504 (G-TIMM and painted as XS111) and XS102 (G-MOUR and painted as XR992). 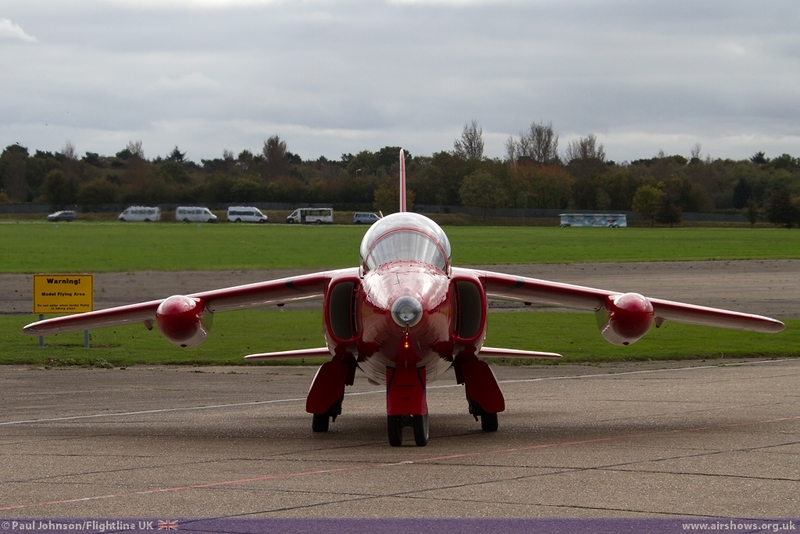 All three aircraft have been on the display circuit for a number of years before heading to North Weald and eventually become the Gnat Display Team. 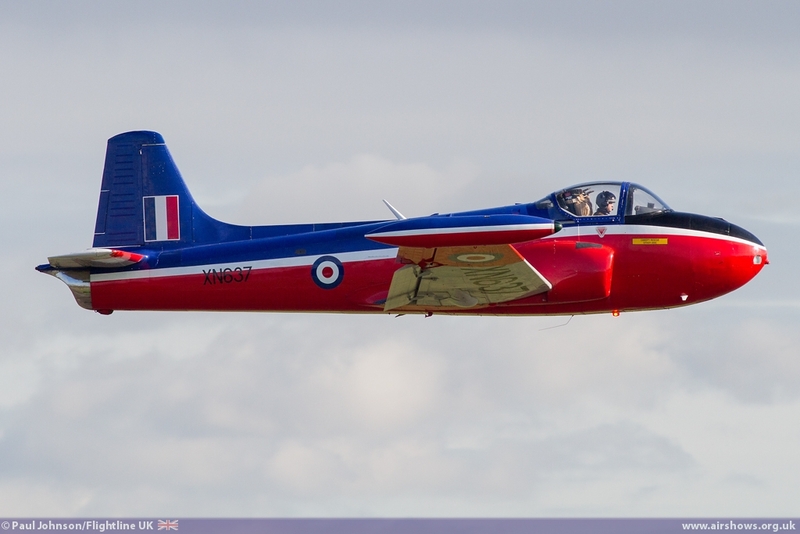 XR538 wears the colours of No 4FTS with which the aircraft served until 1979. 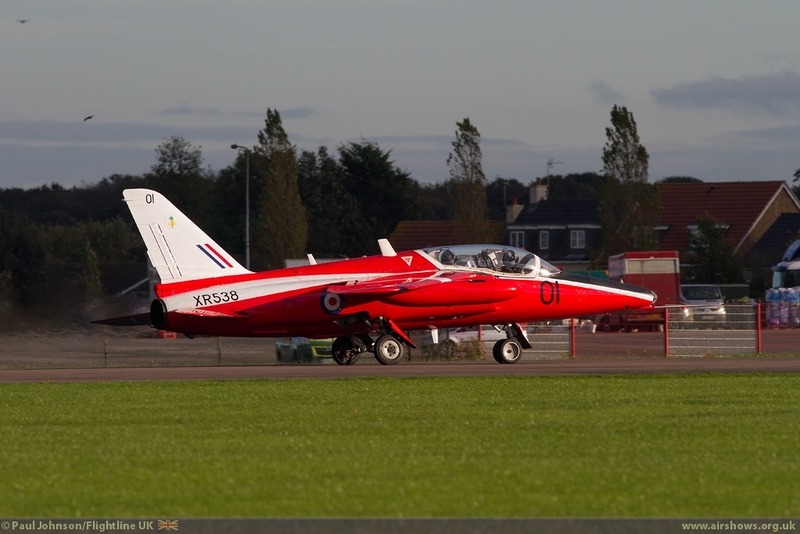 G-TIMM was formerly operated on the airshow circuit by Kennet Aviation wearing the silver and yellow bands of early RAF trainers. 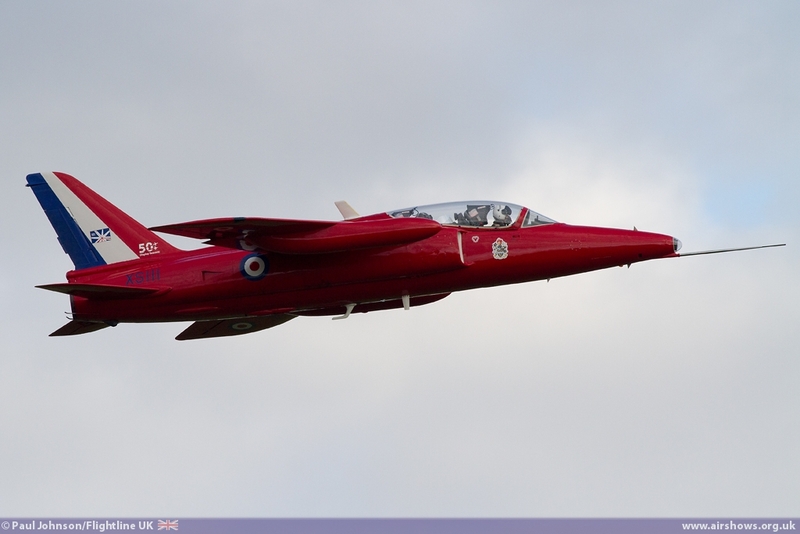 However, in recent years it has been wearing the colours of the RAF Red Arrows. G-MOUR has been the most recent addition to the team. 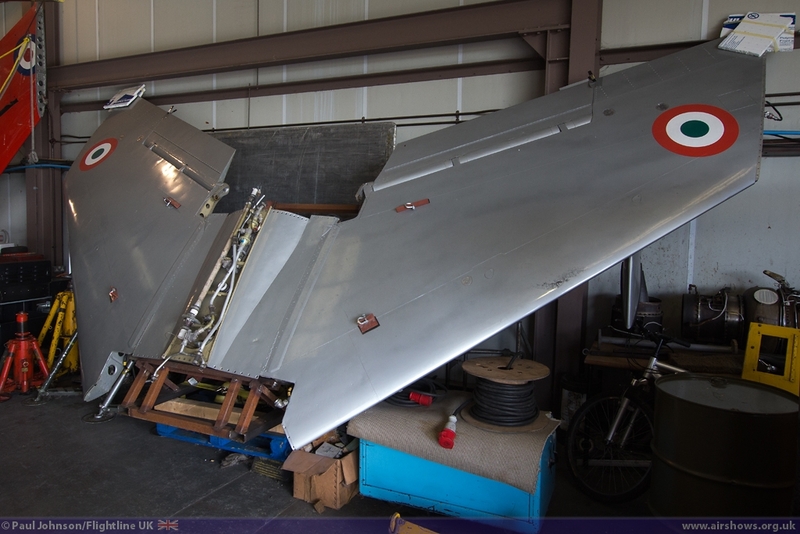 Many will remember the aircraft while it was operated by David Gilmour's Intrepid Aviation alongside his North American P-51D Mustang and regularly flown by Bob Thompson. 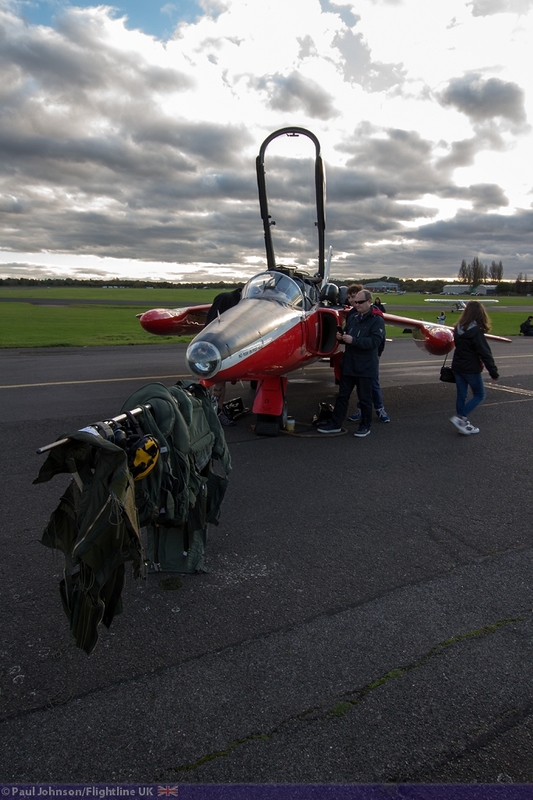 To close their season, the team held an informal open day at North Weald opening their small hangar to the general public as well as flying their jets. 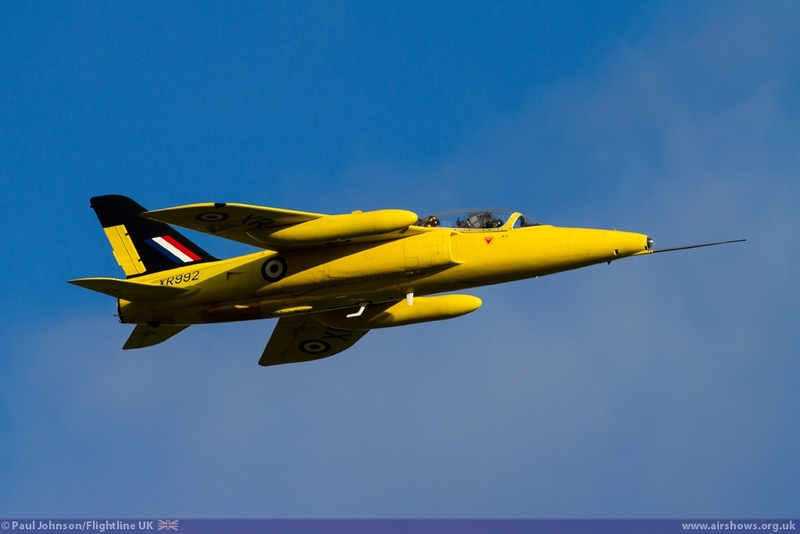 It turned out to be a beautiful autumnal day with clear blue skies. 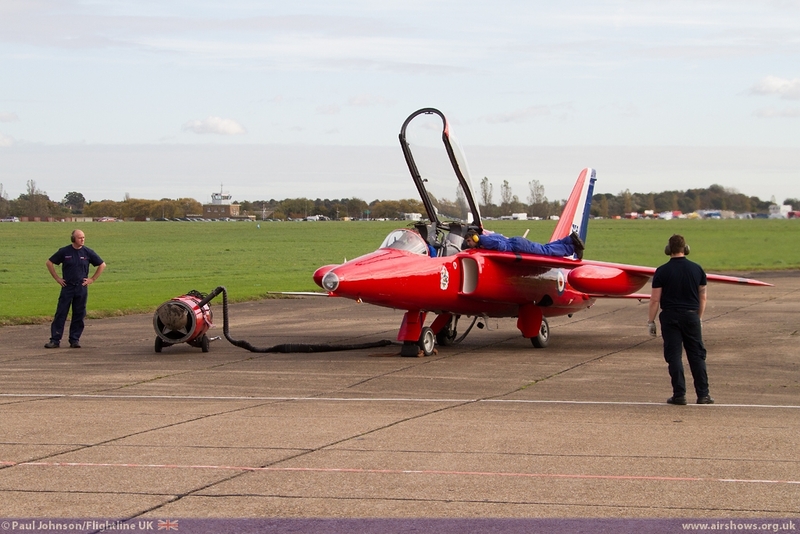 To start the day, the team opened their hangar where the small team keep and maintain their aircraft. 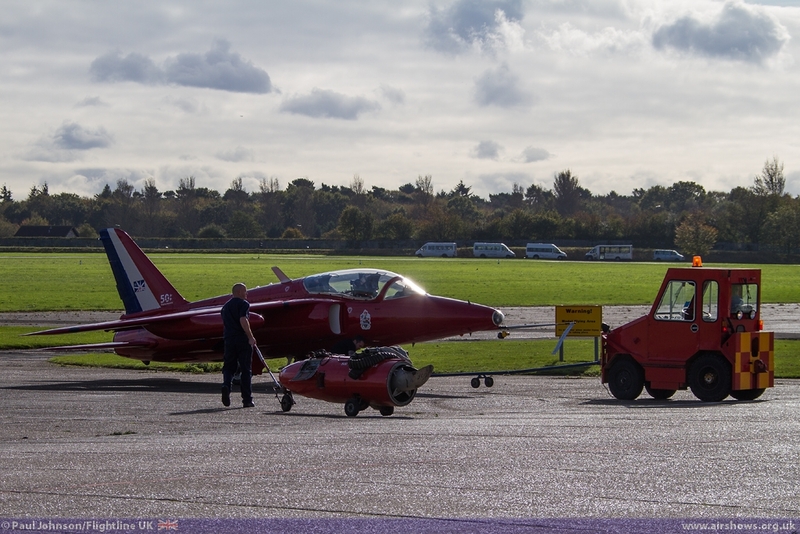 Perhaps the star attraction was their recently acquired Indian Gnat F1. 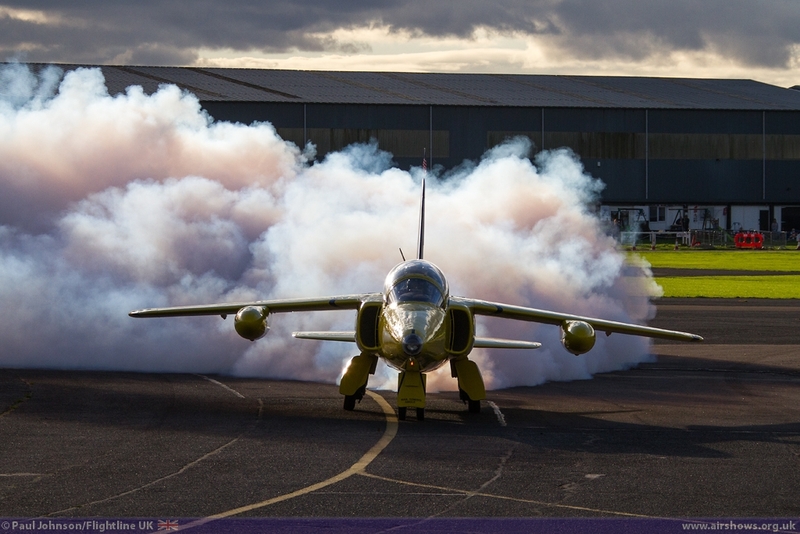 The Indian Air Force used a good number of the single seat Gnats in their various actions against the Pakistani Air Force and their Sabres. 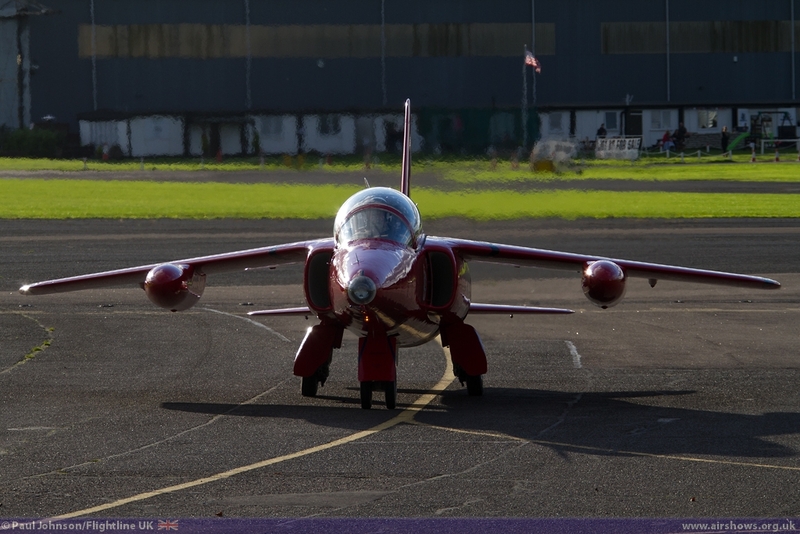 The Gnat proved formidable opponents against their most illustrious American-bred opposition earning the "Sabre-killer" nickname. 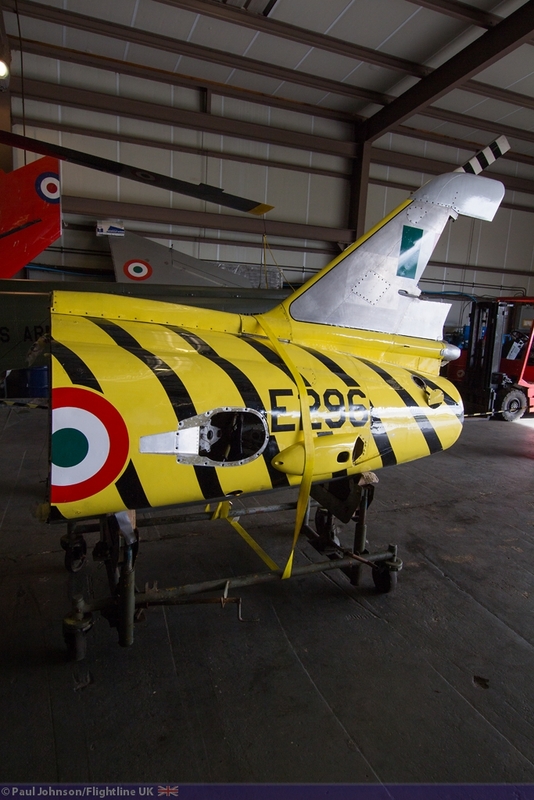 The team's Gnat F1 was presented in "kit form" in the team's hangar wearing its colourful Indian Air Force colours. 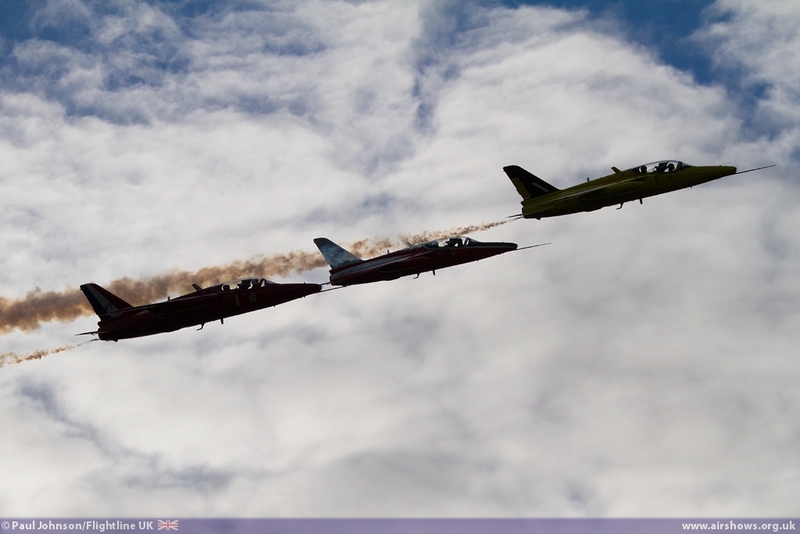 Later in the afternoon, all three of the team's airworthy Gnats took off for a formation flight and photo-sortie. 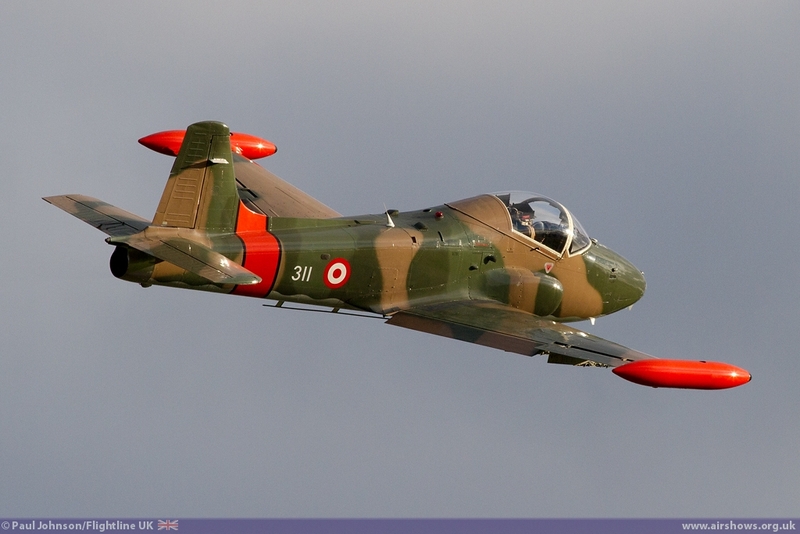 On their return, North Weald was treated to some formation passes and circuits by all of the Gnats plus the photo-ship BAC Strikemaster. 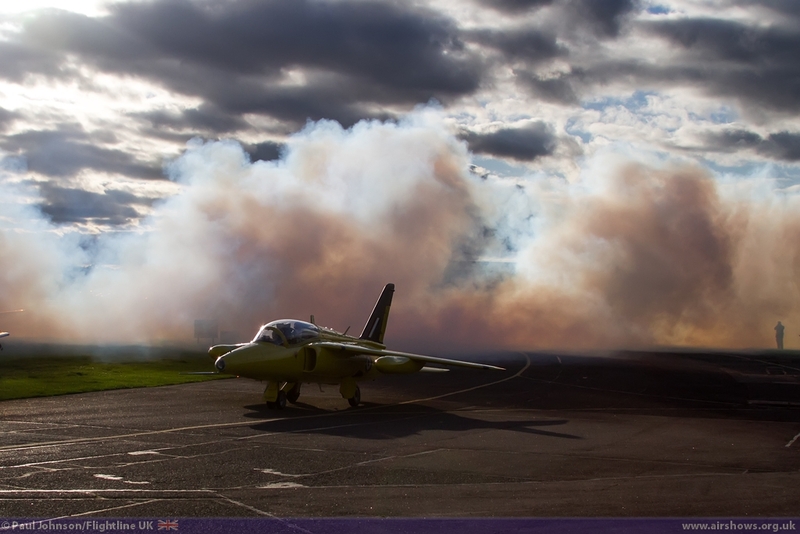 Following the return of the team, including a very smoky arrival by the Yellowjack Gnat, the aircraft were line-up outside The Squadron for closer inspection and photo-opportunities to round off the day. 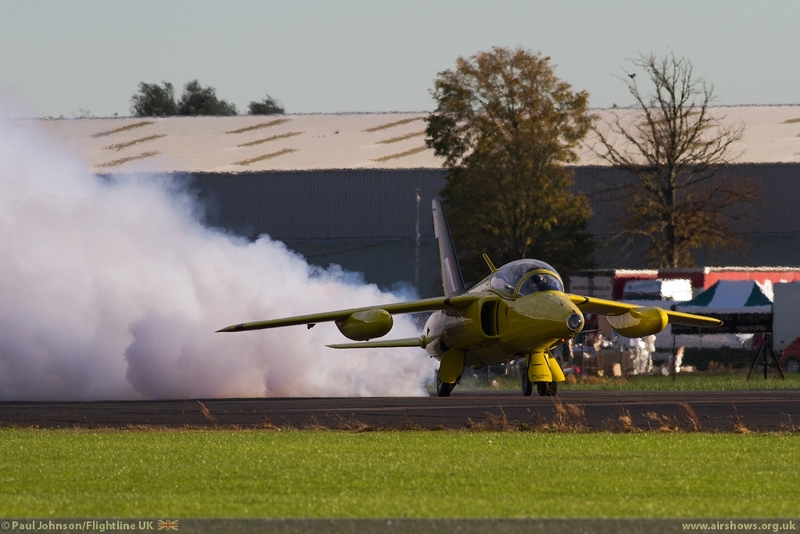 Thanks must go to the Gnat Display Team for opening the doors on their operation to the public. 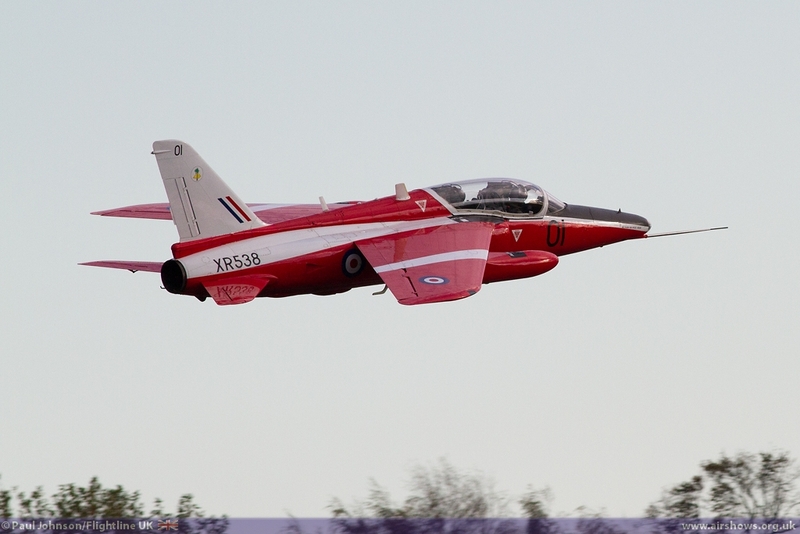 Such opportunities to get up close with display aircraft are few and far between these days so it was very much appreciated. 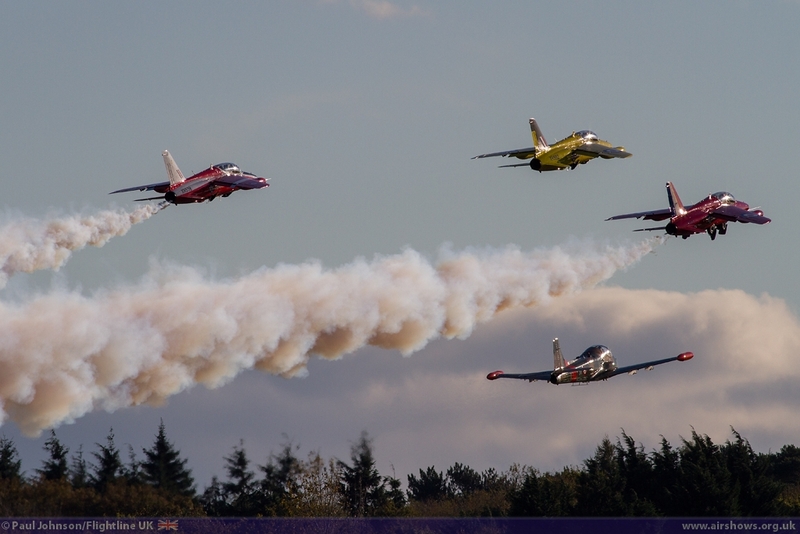 Hopefully it can be repeated next year.